Lassen High School’s Associated Student Body will be celebrating the theme of kindness all week-long with a myriad of activities during the school’s ‘We Are Lassen’ Spirit Week, April 8th through the 12th. The week will revolve around the act of being kind and includes five differently themed spirit days. 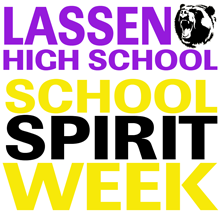 On Monday, for We Are Lassen day, students are invited to wear purple and gold and any bracelets they have received this year. Tuesday is Unity Day where students throughout the school will wear blue jeans and a white shirt to show that they are united no matter what they look like. Thursday’s Vacation Day will see students wearing tourist gear in celebration of spring break. Friday will be American Day with high schooler’s wearing red, white and blue to celebrate freedom. Patton also said that all students and staff are invited to participate in We Are Lassen Kindness Bingo, where the participants will complete a row on their individual Bingo card and, after an adult or friend sign it off, they will be included in a drawing for gift cards. Squares in the Kindness Bingo card include giving someone a high-five, smiling at 5 people you do not know, cleaning up a mess that is not yours and many other acts of kindness. Throughout the week Lassen ASB will be hosting various activities like a watermelon eating contest during lunch, a movie night in the ASB room, a balloon stomp during lunch, musical chairs during lunch, chalk art drawings in the quad and on Thursday recess during advocacy will include volleyball, spike ball, tug-of-war, football and an ASB/FFA/FBLA Easter Egg hunt. Lunchtime activities on Thursday will include face painting in the quad provided by our LGBTQ+ club. On Friday LHS students can make their own friendship bracelet and visit the Lassen Pride Selfie Booth during lunch as well as a gallery walk with lemonade and popcorn for the chalk artists. Friday night the school will hold the first annual ‘Power Buff’ game at 6:00 in the gym. The fun event will be coached by Varsity Volleyball girls and is the battle of two-boy volleyball teams. Everyone is invited to come watch and the cost is $3 to get in for what promises to be an exciting battle. According to Patton many Lassen athletic teams have home games or meets this week. 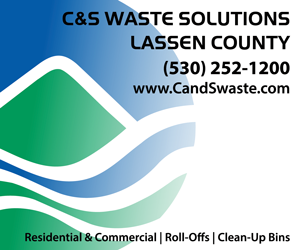 The community is encouraged to come out and support Lassen’s baseball, softball, track and field and boy’s golf athletes as they play throughout the week. On Wednesday the Lassen Varsity Baseball team will take on Reed here at home. On Thursday both the Boys Golf squad and the Girls Softball team will play at home and on Friday there will be a home baseball game against Anderson followed by the Power Buff game at 6:00 in the high school gym. Posted by Jeremy on . 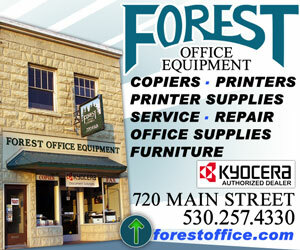 Filed under Announcements, Local & Regional News, Local Events, Schools. You can follow any responses to this entry through the RSS 2.0. Both comments and pings are currently closed.